Movable table design with RAM type spindle travel. With X-axis travels up to 118", very long work peices are workable. 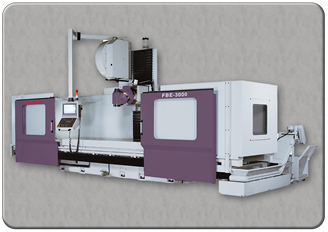 Two position or multiple position spindle heads available to allow machining on numerous angles of the part.